Have you given consideration to what will happen to your business if you die? The legal position varies depending on the structure for the business, but in all types of business, having in place an effective succession plan can help to ensure that the transfer of your business goes as smoothly as possible and that tax liabilities are minimised. Failure to make an adequate plan can have far reaching effects and could lead to disruption, disputes, tax consequences that could have been avoided, or even a failure of the business entirely. This is one of a series of articles that looks at what happens on the death of a business owner. This article looks in particular at the issues that arise on the death of a sole trader and looks at ways to plan to improve certainty for family members and employees alike. The law does not distinguish between the business and the sole trader. Consequently the death of a sole trader can have very serious consequences on the business, as the business technically comes to an end and dies with the sole trader. Any business assets owned by the sole trader will form part of their estate and will pass to beneficiaries under the Will, or in accordance with the rules of intestacy if the sole trader has not made a Will. If the business comprises only the sole trader him/herself it may be inevitable that the business comes to an end. However, many businesses operating as sole traders have a number of employees and significant on-going value. Family members often expect that they can simply step into the shoes of the sole trader after death, and continue to run the business. Therefore it comes as a shock to all concerned to find that this is not the case. 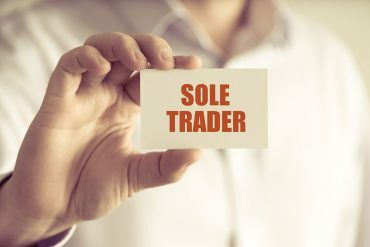 The personal representatives (PRs) of the deceased sole trader may be prepared to step into the shoes of the sole trader and continue running the business. However this could expose the PRs to significant risk. In any event, even if the PRs are willing to continue running the business, they will need an express power to do so granted to them in the sole trader’s Will. Even then a number of practical problems can arise for the PRs. Employment of the employees automatically terminates on the death of the sole trader. If the business is continued by the PRs, the employees may transfer over and become employees of the PRs – if the employment contracts are renewed by the PRs they will become bound by all aspects of employment law just like any other employer. If the employment is not renewed, the employees may become entitled to redundancy claims, which could be significant and will need to be paid from the estate. Employees and traders will need to be paid, and any delay could have a significant detrimental effect on the business. However it is likely that the business bank accounts of a sole trader will be frozen on death, and the PRs will not be entitled to operate them until probate is granted. A careful review of the operation of your business should be undertaken to assess the best way to ensure the business can continue smoothly after your death and to protect the value that you have worked hard to create. Consideration should be given as to whether the business should be restructured to minimise any disruption. At Thompson Smith and Puxon our business succession team can help you to establish a succession plan, tailor-made for your business, to help ensure that ownership and control of the business is transferred according to your wishes, while also providing on-going financial security for you and your family. If you would like any further advice on how to protect your company please contact Claire Powell at claire.powell@tsplegal.com or on 01206 217050.